The LC is really excited to announce that for the FIRST TIME EVER we will have an LC Beauty Show on Aug. 25, from 2 p.m. to 4 p.m. CT and again from 6 p.m. to 8 p.m. During the show we will feature cosmetics by Mario De Luigi and later on we will feature Francky L’Official’s product line called Hair Show. 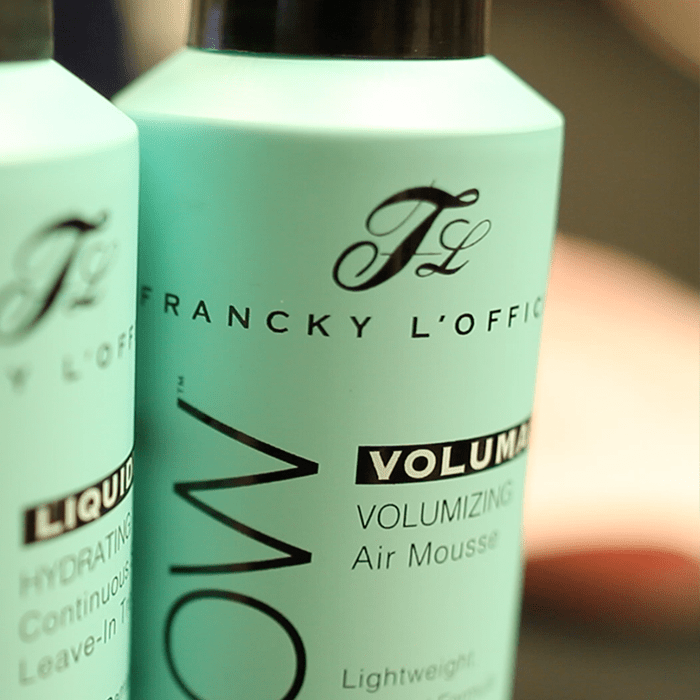 Francky L’Official flew all the way out here from New York to talk to us about his hair care line and to show you how easy it is to use his products for everyday life. While he was here, we were able to chat with him, so keep reading to know more! I’ve been in this industry for about 20 years and it was actually by mistake. I was a student in medicine and modeling at the same time. When I quit medicine, I went into the army. After the army, I really wanted to go into fashion. I happened to try hair and it was just natural. Why did you decide to make your own product? When I was asked to work on shoots, I had to bring so many products because I wanted to be prepared. You always see so many tables full of products on set. I wanted something with all of these products put together in combinations, so all I would have to carry is 5 or 6 products. Even when I go to my girl friends’ place and use their bathroom, I open the cabinet and there’s like thousands of hair sprays, 10 shampoos and 15 different conditioners. You should just need one hair spray, one conditioner, one shampoo, one type of styling product and that’s it. I don’t think you need all so many, so I created my product line. Wh at makes Hair Show unique? I created my products with an exclusive Tri-Moleculer Complex, which includes Keratin, Collagen and Creatine. These are all things found in the body. I used Keratin in it because it’s the bone of your hair. Collagen is what keeps you young looking and what you need for the skin, so why not put it in hair products? Your hair is getting older as you get older, so it breaks and becomes fragile. Collagen helps it stay healthy. I used to work out a lot and take Creatine, which helps to build muscle. Most of my clients were looking for a product that gives them volume and makes their hair thicker, and I immediately thought of Creatine. After many tests in the lab, Creatine was found to make hair thicker and voluminous, just like the way it works for muscles. When it comes to hair product, do you like to use a lot or a little? The less product I have to put in the hair, the happier I feel. Most hair products now are just for dry and flat, lifeless hair. With my product, you can style everything. You can use it for curly hair, frizzy hair, flat hair or any other type. You don’t need to use a lot. It’s not sticky, so it feels really natural. This is because it’s made of ingredients you’d find in your body. It doesn’t damage your hair and there’s no alcohol in it. 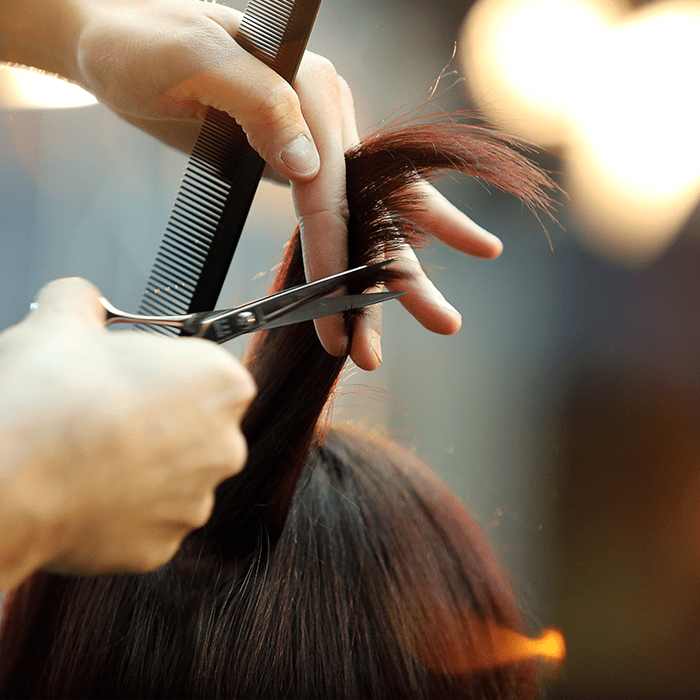 What is your best hair styling tip? For most women, they like to put their hair up in a ponytail. When doing so, don’t use a rubber band because it breaks your hair. Definitely don’t put wet hair in a ponytail because it breaks your hair. A lot of women of a certain age like to keep the hair out of their face, so they put it in a tight ponytail. This causes the hair along the hairline tends to break because it’s so tight. I use shampoo for gray hair because I want to make sure my silver stays silver. I use my Fashion Show leave-in treatment every day. I just spray it quickly after a shower and that’s really it! As a product creator, what types of things are important when making these items? Make sure it’s easy for the consumer. There’s too many products that are way too complicated to use. In the market, there’s so many products that are only for specific hair types. I would go to a supermarket and go to an aisle and think, “Seriously?” Even just for men’s products, I still think there’s too much to choose from. I wanted to make a product that’s precise and easy to use. Don’t forget to join Francky and the LC live on Aug. 25 from 2 p.m. to 4 p.m. CT and again from 6 p.m. to 8 p.m. to get your hands on the Hair Show Line!